Gambling in Australia is highly popular and highly addictive. In 2007, an article was published reporting more than 80 per cent of Australians aged 18 years and older engage in some form of gambling – the highest rate of gambling across the world. According to The Australian Gambling Research Centre (AGRC), Australians spend over 12 billion dollars a year on the pokies. Australia owns over 20 per cent of the world’s gaming machines, according to the country’s Productivity Commission report (2010). Suffice to say, playing the pokies (also known as the slots) is the most popular and prominent form of gambling Down Under, and laws are in place to govern what is and is not permitted to be offered to residents. This article will guide you through those laws, and explain what is legally accessible to Australian adults, both within the land based and online realms of gambling. Officially termed gaming machines, pokies in Australia are found in licensed casinos, pubs, gaming hotels and sporting clubs. New South Wales was the first state to legalise this form of gambling, and all states and territories followed suit soon after. While there are some regulations at a federal level, laws surrounding pokies machines are, primarily, legislated at a state and territory level. Below are some important gaming machine laws for each and every state/territory in Australia, including gaming licensing bodies and pokies payout percentages (also known as the return to player or RTP). Australian Capital Territory (ACT) – The gaming governing body regulating ACT gambling is the ACT Gambling and Racing Commission. It implements a minimum 87 per cent RTP for all gaming machines across the territory. There are more than 5,000 pokies machines in the ACT. New South Wales (NSW) – The gaming governing body regulating NSW gambling is the NSW Office of Liquor, Gaming and Racing. It implements a minimum 85 per cent RTP for all gaming machines across the state. There are more than 100,000 pokies machines in NSW. Northern Territory (NT) – The gaming governing body regulating NT gambling is NT Gambling and Licensing. It implements a minimum 85 per cent RTP for all gaming machines in clubs and hotels, and a minimum 88 per cent RTP for all gaming machines in casinos. There are more than 2,200 pokies machines in the NT. Queensland (QLD) – The gaming governing body regulating QLD gambling is the QLD Office of Liquor and Gaming. It implements a minimum 85 to 92 per cent RTP for all gaming machines in clubs and hotels, and a minimum 90 per cent RTP for all gaming machines in casinos. There are more than 48,000 pokies machines across QLD. South Australia (SA) – The gaming governing body regulating SA gambling is the SA Office of Liquor and Gaming. It implements a minimum 87.5 per cent RTP for all gaming machines across the state. There are more than 13,000 pokies machines in SA. Tasmania (TAS) – The gaming governing body regulating TAS gambling is the Tasmania Department of Liquor and Gaming. It implements a minimum 85 per cent RTP for all gaming machines across the state. There are more than 3,700 pokies machines in the ACT. Victoria (VIC) – The gaming governing body regulating VIC gambling is the VIC Commission for Gaming Regulation. It implements an 87 per cent RTP for all gaming machines across the territory. There are more than 30,000 pokies machines in VIC. Western Australia (WA) – The gaming governing body regulating WA gambling is the WA Department of Gaming, Racing and Liquor. It implements a minimum 90 per cent RTP for all gaming machines across the territory. There are more than 1,750 pokies machines in WA. The RTP refers to the theoretical return the machine pays back to its customers (long term, and not applicable for single spins). For example, over a long period of time (thousands and thousands of spins), a pokies machine with an RTP of 85 per cent will return 85 per cent of the money that is put into it (you can reverse this to say the pokies machine has a house edge of 15 per cent). The minimum age limit for Australian residents to be allowed to play real money pokies is 18 – the standard legal age limit for gambling and drinking across the country. The chief difference between venues such as sporting clubs and hotels that offer slots machines, and casinos, is that the clubs, pubs and hotels do not hold licenses to offer table games. The regulations surrounding real money online pokies play are quite dissimilar to the land based pokies laws imposed by Australians states and territories. While the offering and marketing of online sports gambling and online lottery betting remain legal practices for licensed Australian gaming operators, this is not the case with all other forms of online gambling. Regulated gaming operators such as CrownBet, Sportsbet, William Hill (all sports bookmakers) and Oz Lotteries (licensed Internet distributor of Australian lottery products such as Tattslotto, Powerball, The Soccer Pools and more) are all licensed by the appropriate Australian gaming regulatory bodies and are all audited on a regular basis. Australian residents aged 18 years and older can rightfully access and utilise the services provided by these operators. Online pokies are considered an ‘interactive’ form of online gambling, according to the Act, along with other casino games such as poker, blackjack, roulette, baccarat, craps, instant win scratch cards, sic bo and video poker. Sports betting and lottery betting over the Internet are not deemed to be ‘interactive’, so long as the companies offering such services are associated with a land-based business. Prior to 2001, it was lawful for an Internet gaming operator (chiefly online casinos) to offer its services to Australian citizens. It is clear there remains a serious contradictory stance within the IGA, where it allows some forms of online gambling and not other forms. This bias only serves to appease the lawmakers. Important: While it is illegal for an online gaming operator which is neither a licensed sports bookie or a licensed lotto agency to offer its services to the Australian public, it remains 100 per cent lawful for Australian residents to access such services. 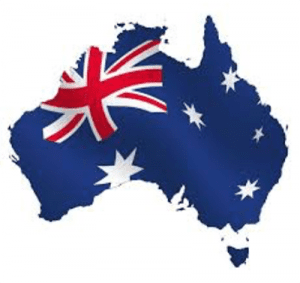 While no companies in Australia currently offer such services, ample regulated and registered offshore gambling companies continue to successfully market their gaming products to Australian citizens, even though they are technically in violation of the IGA. The IGA states a maximum penalty of $220,000 per day (for individuals of an online gambling operation) or $1.1 million per day for a company, can be handed out to those who violate the Act. Local companies would suffer instantaneously, but offshore companies have never been seriously looked into for breaching the regulations (largely because such companies and their conduct of activities remain outside of our government’s scope of authority). In 2016, the Interactive Gambling Amendment Bill was introduced to parliament in a bid to further tighten Australia’s online gambling laws. The new bill was passed in Parliament in March 2017, with the laws slow to be officially activated and yet to come into effect. Under the IGA amendments, no online gambling operator will be legally allowed to offer their services to Aussie players unless they have licensing to do so from an Australian state or territory. There will be no penalty for players who choose to ignore the laws and continue to play at an internationally run casino site. Until the laws come into full effect, only time will tell how many offshore casino vendors choose to pull out of the Australian market. We will update our website accordingly to keep players in the loop of any changes. Foreign gambling operators (mainly online casinos and online poker companies) can be dangerous, and so it is important when you seek out a site to gamble at that you ensure they meet all the strict licensing, registration and regulation measures (like being licensed by an official governing commission, and being regularly audited by independent testing agencies like eCOGRA for responsible operator conduct, fair gaming and player protection). We only ever recommend sites we have thoroughly tested ourselves, meeting all the vital gaming criteria. You can discover more the best online pokies sites here. 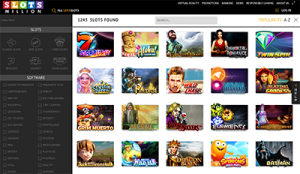 With hundreds upon hundreds of graphically advanced, visually compelling and audio rich pokies titles, these sites also boast a collection of high quality casino table games and other unique titles exclusive to the Internet. All are also compatible with mobile phones and tablets. All use the latest secure socket layer (SSL) digital encryption technology to protect your personal details when you are processing financial transactions (to deposit and withdraw cash from your account, via any of several globally trusted banking methods). We also recommend playing the pokies online because the Internet gaming operators we endorse all market minimum RTPs far higher than the minimums imposed by Australian gaming venues. Ranging from 94 per cent to as high as 99 per cent (house edges from six per cent to as little as one per cent), you will get far more bang for your buck at Internet slots casinos. Both mandatory (Labor) and voluntary (Coalition) pre-commitment technology for players of pokies machines have been suggested by opposing Australian governments at different stages in recent years. 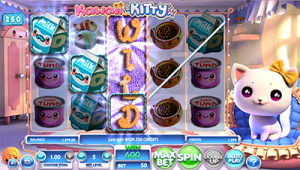 Labor’s recommendation involved the use of required smart cards to play the pokies, which would need to be inserted into the machines to ensure players were neither banned from playing and had not exceeded loss limits set by the players themselves. The Coalition’s proposal encouraged gaming venues to team up with addiction and counselling services to assist pokies players vulnerable to gambling addiction. Smart cards have since been introduced, and can be loaded up with thousands of dollars. The Productivity Commission report in 2010 suggested the ‘cash input level’ for pokies machines be capped at $20 – a limit it believed would safeguard problem gamblers and have limited impact on recreational players. Pokies regulations and restrictions, across the country, have seemingly been loosened as opposed to tightened, from 2012 to 2017. The shift from pokies reforms to a host of liberalisation actions appear to be a result of strong political and gaming body ties and financial arrangements. The fight between those pushing for more liberalised gaming and pokies acts and those pushing for pokies and gaming reforms, is a fight between the gambling lobbies, the two major political parties, independent politicians and the public. While the state of gambling in Australia is an issue constantly debated, it appears inconceivable any laws would be passed in the near future which would ever completely outlaw gaming machines. As for online pokies and Internet based casinos, the 2017 amendments to the IGA may impact the amount of trustworthy pokies venues we can access online, but with no laws in place to punish players it’s highly unlikely online punters will shy away from online play. We believe tntroducing laws which permit local operators to offer their products and services to the Aussie public, would be a far more effective method to control and regulate a market which does not seem to be closing down any time soon. This would be consistent with the laws already allowing regulated online sport bookies and Internet lotto agencies to operate Down Under, and would also provide the government with the opportunity to appropriately tax such homegrown companies, just as it currently does with the bookmakers and lottery organisations. We advocate for responsible gambling here at OnlineCasinoWebsites.com, and advise you regularly ask yourself whether gambling may be negatively affecting your financial stability and other important aspects of your life. If you believe it is, or if others believe your gaming activity may be a problem, ample assistance is available via organisations such as Problem Gambling (www.problemgambling.gov.au) and Gambling Help Online (www.gamblinghelponline.org.au) (anonymity is offered). You can also seek guidance from family members and professional councillors.